Spiderman Homecoming Movie Is Boring! Of course not! 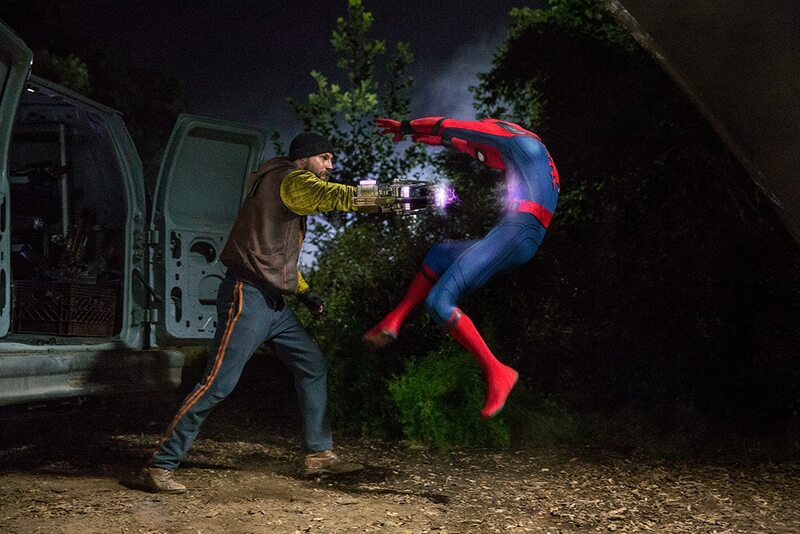 Now that Spidey is back to the big screen for the sixth time, you will be craving for more "webs"! Last Saturday, members of Cebu's premier Blogging organization, Cebu Bloggers Society (CBS) were able to enjoy this latest Spiderman installation. And it was not as great as the movie if not because of Ayala Center Cebu's Cinema and The Movie Snack Bar. And why do I think this adaptation of the friendly neighborhood movie is the best so far? Here are some reasons I got and felt after watching Tom Holland's version of Spiderman. 1. Finally in Marvel Studios! Of course, with the craving of fans putting Spiderman to the Avengers, everybody is excited for the coming big one! Who can't wait for April 2018, Avengers : Infinity War baby! What would be the vital role of Spidey on this Avengers movie? But for now, let's wait for the next Marvel movies like Thor:Ragnarok, Black Panther and Captain Marvel. 2. Washington Post ranks the 2017 version in number 2. This might not be in number one spot but yes! Tom Holland did a good job and of course the team behind the movie. Quoting the website, "“Homecoming” isn’t just a declaration of Avenger-hood, however — it almost magically feels like a brand new Spider-Man movie, despite being the sixth one. Tom Holland’s Peter Parker leads an actually young cast of high school supporting players. Michael Keaton gives an all-time Spider-villain performance as the Vulture (we shouldn’t be surprised, the guy is Batman) and Spider-Man has never looked better, with a suit that’s a nod to the Spider-Man art of the ’60s and ’70s up top with its webbed wings, mixed with some high-tech, Iron Man-like magic. “Homecoming” takes Spider-Man out of the previous movies’ dark shadows and shows it can be fun to be Spidey." 3. Light Feels. That's what I felt. There are no rough battles between Spidey and the villains. The setting is on Peter Parker's High School life which highlighted his first love (?) interest, Liz played by Laura Harrier. But I believe this installation is a "plus-points" to Millenials as they can relate "to the bones"! 4. Who do you think is Peter Parker's Love Life, Mary Jane Watson? I mean, in this movie, who do you think is Spidey's MJ? Yes, it wasn't mentioned nor spilled out who MJ really is. But take focus on some little details in every scene, you soon realized who. Aha! Remember this, "People call me MJ!" 5. Best Marvel Movie post-credit of all time! In this part of the movie, you can determine from those movie-goers who really are the fans or just merely dragged by friends to the Cinema.You may be heard this already but I mention this again, Spiderman Homecoming movie got 2 post -credits scenes and they are all the "bestest" ever! Sorry, I may sound exaggerating but this is true. Before you proceed, spoiler alert! First post-credit, inside a jail, Mac Gargan confronted Adrian inside a jail and asked the identity of our friendly neighborhood. But Adrian didn't sell him out. Okay, for the second post-credit. In this scene, our very own Captain America (Chris Evans) is delivering a speech on a recorded video just like what Peter and his friends saw inside the gym. But this time, Captain America is discussing the importance of Patience. So, basically, if you are an avid Marvel fan, then you should know a teaser of the next Marvel Movie with just post-credit of the current movie. Okay, I'll stop! Please watch the second post-credit, please? !